The KJO is an amateur symphony orchestra founded in 2006 by parents from various Cambridge schools. 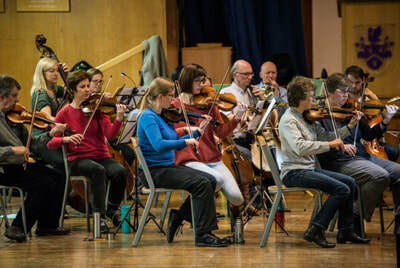 Our aim is to provide a welcoming environment for those who have had a break from orchestral playing or who have little experience of a full orchestra. Our players have mixed ability but are Grade 6+, and some have been music professionals. By working together and supporting each other we aim to achieve and to progress to the highest standard we can. 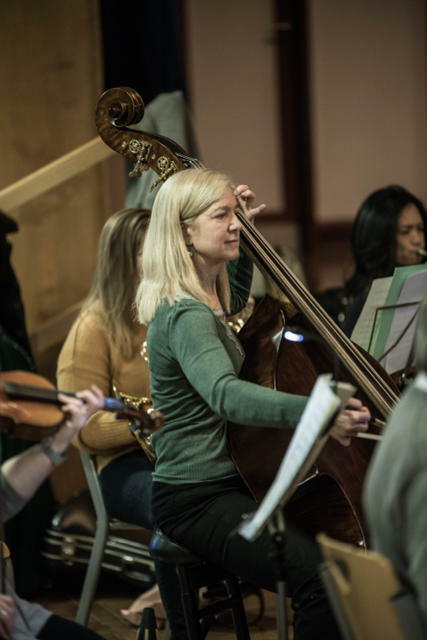 We play a broad range of repertoire which is challenging, rewarding and reflects the make-up of our orchestra. We try to perform at least one concert each year, with proceeds going to music-related charities or other good causes related to our members. Concerts are aimed at family and friends of orchestra members. We also want to make our concerts accessible to those who, for reasons of disability, old age or limited means, might otherwise not be able to enjoy live classical music. To that end we create informal partnerships with organisations representing such groups. Please get in touch with us via our contact form below if you represent or know of any such group. We are constituted as a charity - see file below. If you are interested in joining, contact us using the form at the foot of this page. Chris was appointed in April 2010. 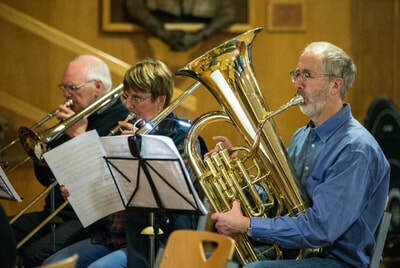 He is a GP from St Ives, with many years of experience as a conductor, singer and trombone player. Groups he has been involved with include the Chamber Orchestra of St Ives, the Cambridge Philharmonic Chorus, Toowoomba Philharmonic, Australia, the Ascension Singers of Cambridge, Gonville and Caius College Musical Society, Addenbrookes Musical Society and St Ives Choral Society. From 2006 to 2009 he was Choral Director of the Huntingdonshire Philharmonic Society, with whom he conducted repertoire including Vaughan Williams’ Sea Symphony and Fanstasia on Christmas Carols, Elgar’s The Music Makers, Haydn's Creation, Dvorak’s Stabat Mater and Beethoven’s Mass in C. In 2011 he was also appointed Musical Director of Swavesey Community Choir. "Since I became the Musical Director of the KJO in April, 2010, I have enjoyed the friendly and welcoming atmosphere of the orchestra. We strive to achieve a high musical standard, whilst having a good time and enjoying the social aspects of music making. If you think KJO may be the orchestra for you, please contact us to arrange to come along to one of our Monday evening rehearsals. I look forward to meeting you." 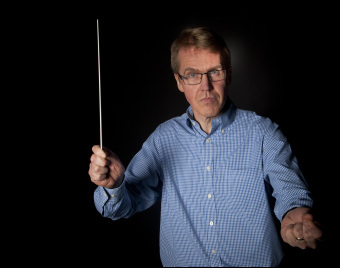 Our Patron, Robert Ziegler, is one of the most versatile and innovative musicians working today, conducting symphonic and operating repertoire as well as musical theatre, popular and contemporary music. He regularly records music for film and television, and also maintains a lively career as a presenter and writer of live concerts and radio programmes. "I was pleased to accept the rather grand position of Patron of KJO after conducting the orchestra in two rehearsals. I found the friendly, enthusiastic energy of the players very attractive and was impressed by their welcoming attitude to new amateur players. There is a wide and exciting range of repertoire performed in a supportive and energetic atmosphere." If you are interested in joining the KJO and would like more information, please look at our page about joining and complete our contact form and we will get in touch with you.